In a very surprising move, it has been announced that Lionsgate is planning to forgo a theatrical release for The Divergent Series: Ascendant, the fourth and final movie in the series. It will instead air on TV as a telemovie. This will then lead directly into a new spinoff series currently being developed by Lionsgate. Lionsgate refuses to comment on these plans at this time, with Variety uncovering this news about the sci-fi saga's future. Negotiations are only in the very early stages. An individual with first hand knowledge of the situation claims it is in Lionsgate's best interests to bring in a lower budget finale that wraps everything up on the small screen. Ascendent was set to open on June 9, 2017. It will instead debut at a different date. The finale will segue into what is being called a 'standalone' TV series that is set in the same post-apocalyptic world. 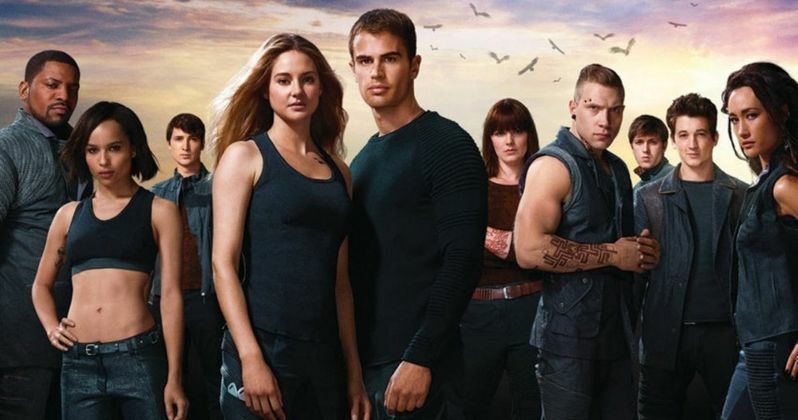 The initial report goes onto explain that while the first two Divergent movies, the first of which debuted in spring 2014, followed by Insurgent in spring 2015, where substantial box office hits, the third and most recent chapter, Allegiant, which opened this past April, didn't bring in the numbers expected. Ascendent was initially set to go up against World War Z 2 in its June release date, as well as Universal's first Monsters Universe thriller The Mummy. The movie was going to begin shooting this summer with the original cast set to return to Atlanta. But the previous film's lackluster box office performance has Lionsgate seriously rethinking their strategy. The first movie brought in $150 million domestic, $288.8 million worldwide, while the second movie faltered in the states with $130.1 million, but made more overall globally with $297.2 million. That is a far cry from the $66.1 million the third movie made, pulling in $179.2 million worldwide. Lionsgate's television group will take over the franchise from here on out, with plans to finalize a storyline featuring the existing cast of characters while new actors and characters are introduced into the mix. The new cast will then continue the series on either network, cable or a streaming service such as Hulu or Netflix. At this time, it isn't known if headliners Shailene Woodley, Theo James and Ansel Elgort will return for the final chapter, or if they will be replaced. Divergent is based on a series of YA novels from creator/author Veronica Roth. The story takes place in a futuristic society where people are broken up into social and personality-related factions. Age of Adaline director Lee Toland Krieger was originally set to direct Ascendent, though it is not immediately clear if he will stay attached to the project now that it is heading to the small screen. No deals are in place just yet.